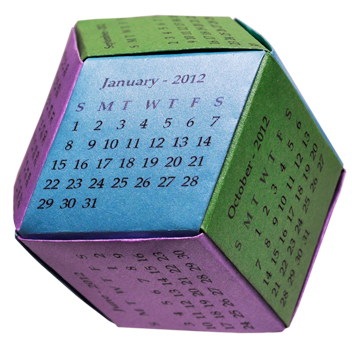 Rhombic Dodecahedron Calendar diagrams and printable calendar pages. 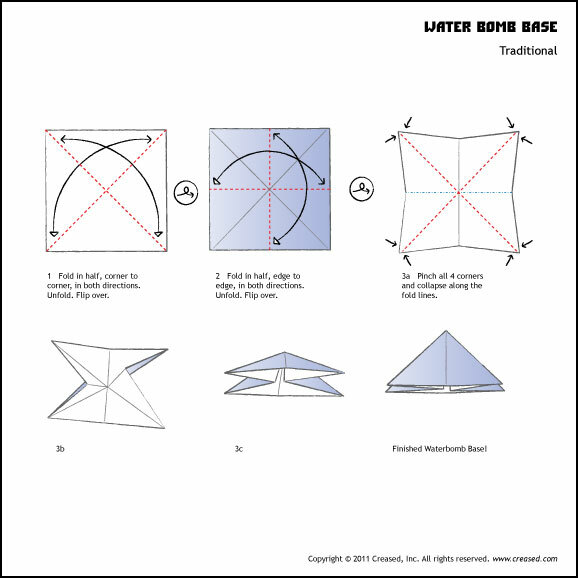 Cut out the units on the dotted lines and follow the instructions in the diagram to fold and assemble. 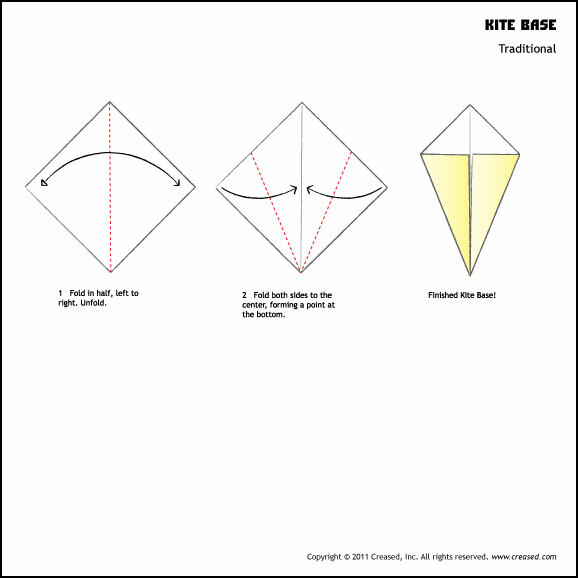 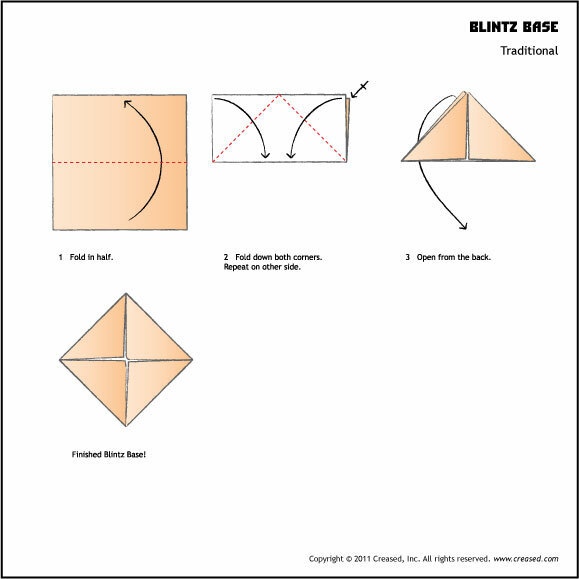 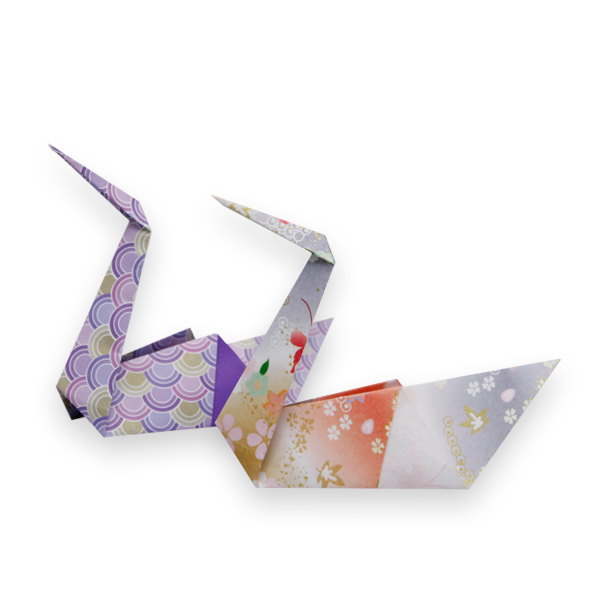 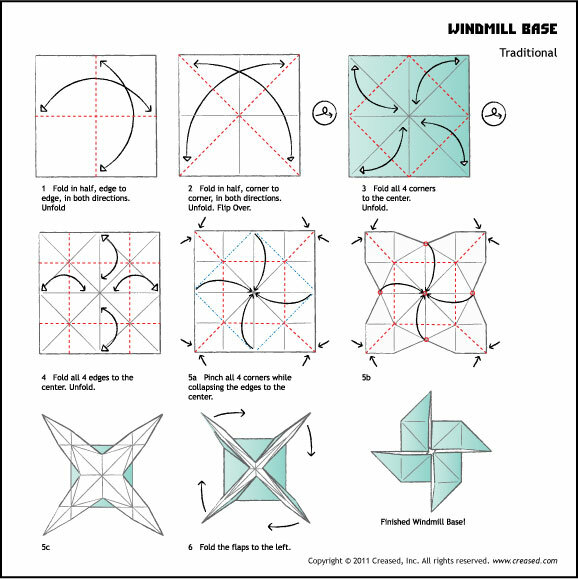 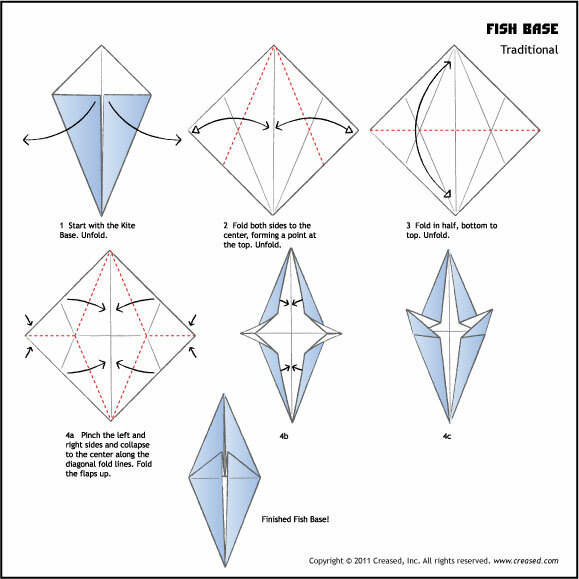 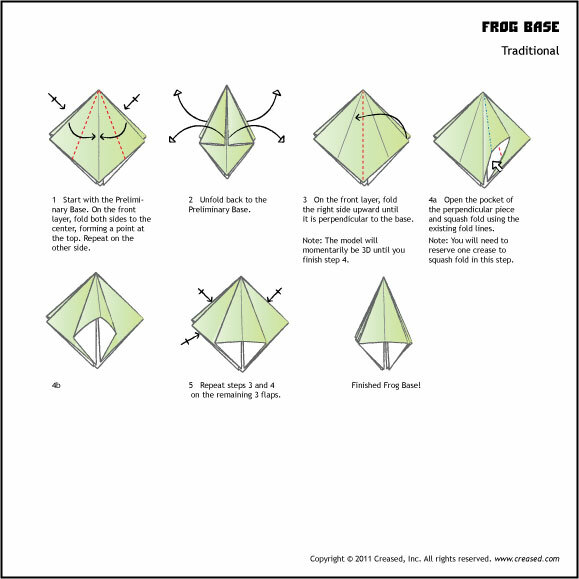 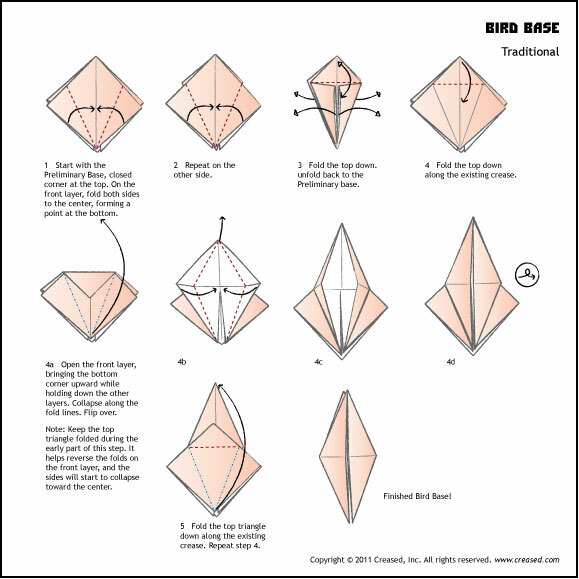 In Origami, a "base" is a common starting point for most traditional and non traditonal models. 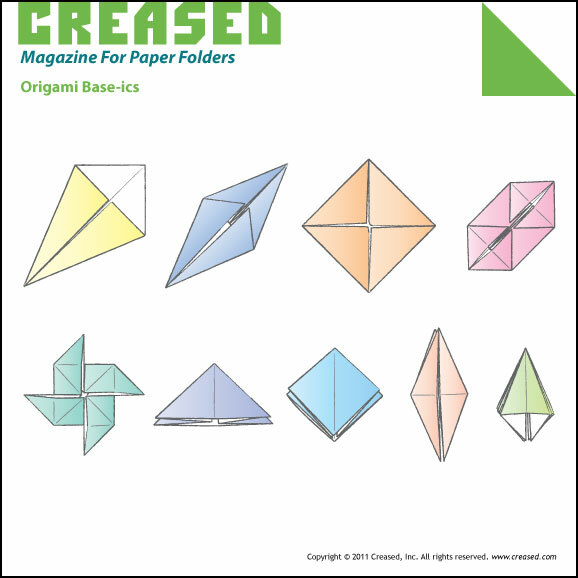 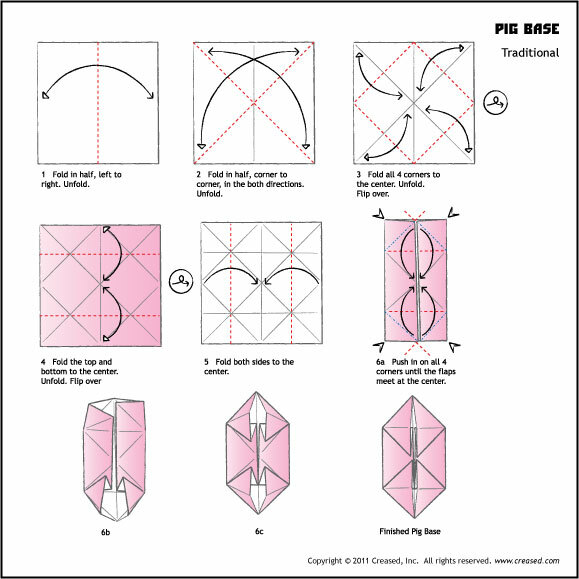 The base-ics below are the fundamental and most used bases in Paper Folding. 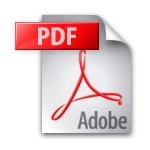 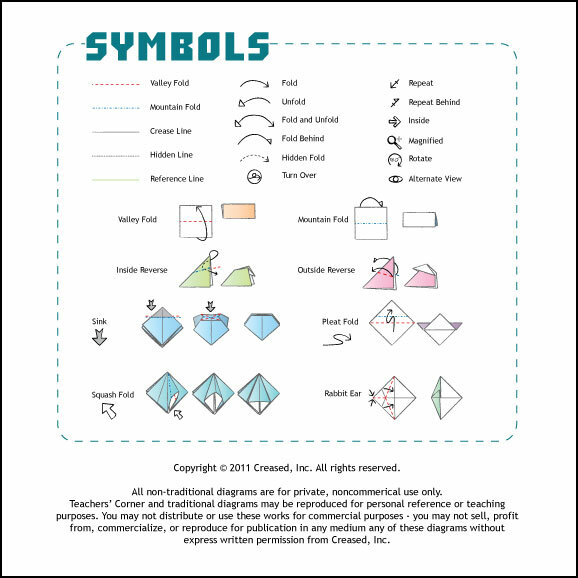 You can either download/print the entire PDF which includes the symbols or download/print each one individually from the jpgs. 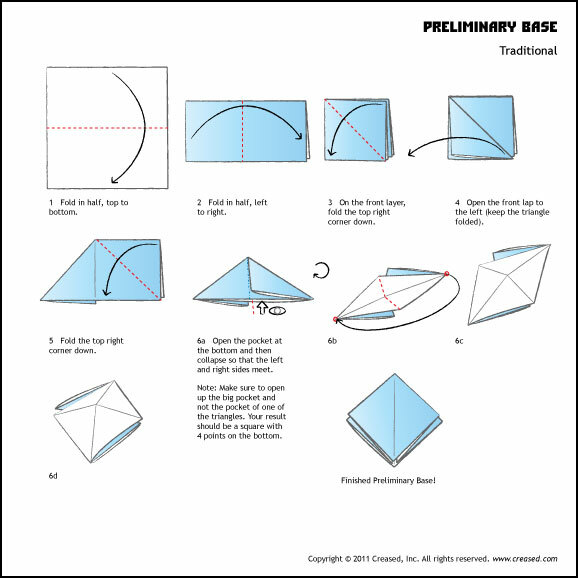 Origami Base-ics JPGS - click to enlarge or right click to save the files.